I know it's a Bible in that picture, but you get the point. I get a LOT of emails from concerned readers of the personal sort, and I get a fair amount of emails about various blog promotions. Here’s a rule of thumb for anyone reading this: I usually don’t add blogs that I don’t frequent. If I added every blog that someone solicited to me via email, I’d have a blogroll longer than the blog myself. And also I get emails with persons soliciting their pieces for me to publish. Again, if I’m not doing an exchange with another blogger, I’m not randomly going to post your piece just because–that’s why you should start your own blog! Be empowered! You can do it! Let me tell you about a new website that could potentially be a game-changer for black children across the globe. NorthParan.com is adding a philanthropic touch to the business of selling black books. For every book purchased on the site, North Paran will donate a book to a child in need. The site’s slogan is Buy One, Give One. In the life of a child there is nothing more powerful than a book. It has the potential to free a child’s mind, to open up a world of possibilities. 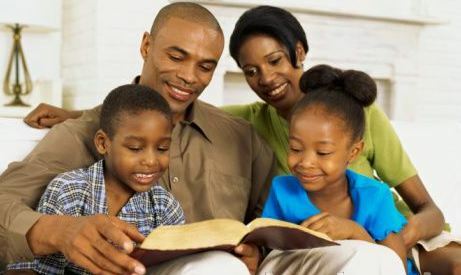 Incredibly, the mere presence of books in the home can lead to greater academic achievement: researchers have determined that a child who grows up in a home with at least 500 books will attain three more years of education than a student with no books in the home. But for millions of children in the United States and around the world, their access to age-appropriate books is limited or nonexistent. North Paran’s mission is to change that. Neil Nelson, the site’s co-founder, is driven by the memories of his childhood in Jamaica, when his family only had five books in the house that he and his sister had to share. But Neil read those five books over and over, until he had all the words memorized. Now he wants to change this bleak picture for as many children as he can. After starting a vastly successful celebrity news and video site that reached nearly 30 million unique visitors last year, Neil partnered with husband-and-wife authors Nick Chiles and Denene Millner to create NorthParan.com, a cutting-edge site that will publicize black books and nourish black children. Chiles and Millner have written or co-written 19 books between them—Millner is the co-author with Steve Harvey of the #1 New York Times bestseller “Act Like a Lady, Think Like a Man,” which was the top-selling nonfiction book in the country in 2009, and the sequel “Straight Talk, No Chaser,” which has already reached #1 on the New York Times list. Chiles co-authored with gospel legend Kirk Franklin “The Blueprint,” which also was a New York Times bestseller last year. Millner and Chiles are both also award-winning journalists and the parents of three children of their own. By spreading the word and making all your book purchases at NorthParan.com, you can help get a book in the hands of every child in our community. If, for every book we bought in 2009, a free book was given to a child in our community, we could give 4 free books to every Black child under age 10 in America. Wonderfully uppity. Thanks for passing along the northparan.com link & info. Reading is part of a proactive solution for much of what ails us…uppity onward! Very cool. It’s about time someone did this. per year. (Hold on! My calculator needs new batteries). = $277.77/per day/30 students=$9.25/6.5 hours = $1.42 per hour per student–a very inexpensive baby-sitter and they even EDUCATE your kids!) WHAT A DEAL!!!! Make a teacher smile; repost this to show appreciation for all educators.